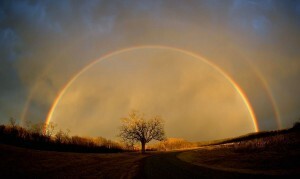 The rainbow after the Flood was given by God as a sign of His promise to us. It is only one example of the many promises we find in God’s Word to us, the Holy Bible, our source of hope. A quick Google search will reveal numerous lists compiled around any number of subjects. Type “Promises” in the search on YouVersion and you will find no shortage of devotionals structured around promises. The problem is not with the promises, the problem is with us. I thought about compiling a list of the promises of good things that the Lord has promised to us, but the prospect of that was overwhelming, especially considering the scope of what it is I want to help you accomplish on a normal Tuesday. I want to help you tune your heart. Any musician will tell you, when it’s time to tune, you generally ask for one note. Generally. 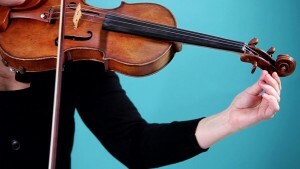 I was rehearsing with a violinist recently and learned a little trick. I thought I should give her an A first, and I was correct, but then she asked for a second note to provide context, I believe it was the E below it. She said it was a good way to impress a string player, to play that second note for context before the tuning player requests it. I thanked her and we began. I mention that here because I want to provide a single promise, but one whichI believe provides a context for this tuning. And what is that promise you ask, 2 Peter 1:4. This is the context of our hope, all His promises to me, and you. Hope is generally defined as a feeling, and for us it is certainly that. But because of God’s Word given to us it is that and a whole lot more. You see, feelings are fleeting and often are reactions to external circumstances beyond our control. This is not how the Bible describes the hope we have in God’s promises. Escape the world’s corruption caused by human desires. I don’t want to speak for you, but I draw a lot of hope from those two realities that flow from all of God’s promises to me. I get to be like him, and be free of the corruption of this world, even while still living in it. So let’s keep this simple. To tune today, simply take a few moments and thank God for all of His promises. Ask for His forgiveness for the times you have failed to believe them and so have not lived as if your hope was secure. Thank Him for the blessing of sharing in his divine nature, and then ask him to reveal how he wants to change you so you may reveal it better today. Thank Him for the privilege of escaping corruption, and then ask Him to show you what desires need to change in you so you can experience that freedom. Then the next time you are reading some of His promises, and I hope it is soon, take a few moments right then to evaluate how you can experience them by adjusting your living within that context. Jesus, thank You for all the promises You have made to us in the Bible. Help me to read them regularly, and when I do, to ask the Holy Spirit to open my blind eyes and give me understanding. I want to learn Your promises, so they may fill my weary soul with hope. In Jesus name. Amen. Below is content available only to Subscribers. Want to learn more about accessing all the additional material in the Subscriber Content Library, click here. You can also check out our Free Member Content Library for some samples.